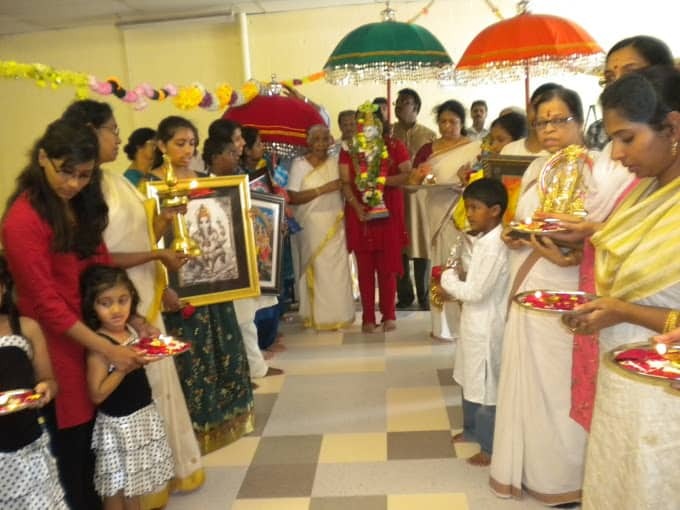 Sri Guruvayurappan Temple of Dallas has been built over a foundation of over 25 years of Bhajanas, Satsangs & Namasankritanas. Since 1985, (till date) members from Kerala Hindu Society of North Texas (KHSNT) continue to meet for a monthly prayer. 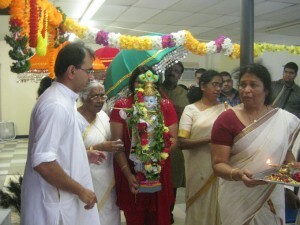 KHSNT started with an objective of imparting younger generation Hindu Sprititual and cultural values and holding the Kerala Hindu community united in the metroplex; it went on to lay the foundation for Uniting all the Kerala Hindus across North America in 2001 through the first convention of KHNA. 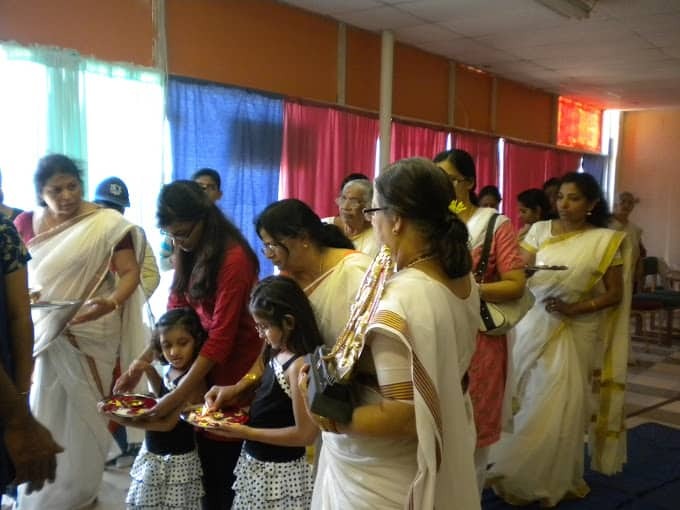 A year after moving to permanent hall of its own in 2007, KHSNT was blessed to conduct the first Srimad Bhagavata Sapthaham (moolam) in North American continent in the year 2008. 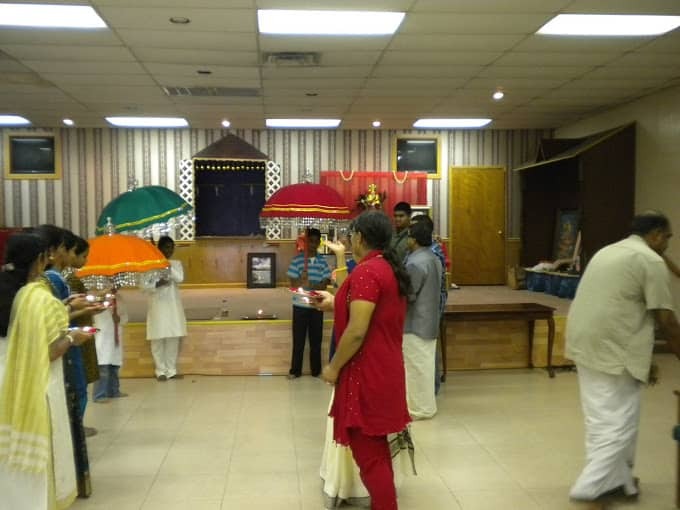 Soon after the 2nd Sapthatham in 2010 conducted by acharyas from Guruvayur (India) Sri Guruvayurappan blessed the whole Dallas metroplex through this community by buying a 3.4 Acre land in the heart of DFW metroplex, for building the temple and spiritual/cultural hall. The most holiest Krishna outside of India, Our Krishna has been to over 108 temples all over India. Badrinath, Rishikesh, Haridwar, Vrindavan, Mathura, Dwaraka, Mumbai, Guruvayur, Mookambika to name a few. 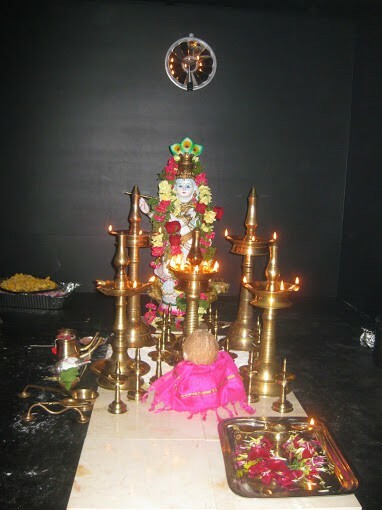 In many of these temples, the priests of the temple had done poojas on this deity. The energy and blessings from these holy 108 temples are served through our Krishna.